The annual Sardegna e Jazz festival takes place from August 22-31 in Sant’anna Arresi, Italy. THe lineup announcement follows. You will hear Mulatu Astatke, the legendary vibraphonist of Duke Ellington, playing Steps Ahead. Your notes will be hallowed by Rob Mazurek especially crafted for you by the Exploding Star Orchestra and Nicole Mitchell. The road to Saturn is still far away, a constellation of incredible surprises is on the way: M.O.P.D.T.K and Talibam!, two of the most interesting and fresh projects around, both capable of reducing the distance between styles and genres. Talibam! will perform with a special guest, Alan Wilkinson, an extraordinary free jazz saxophonist from England. 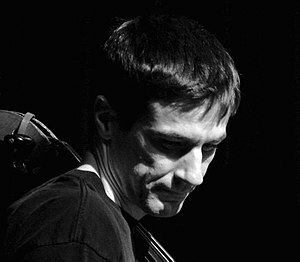 There will be Space for Dinamitri Jazz Folklore Septet’s music, and their sounds from Africa will challenge the audience with the origin of things and its elements. The septet will have a special guest, the writer and poet Amiri Baraka. An original and fascinating project entitled Living By Lanterns is brought you by Mike Reed and Jason Adasiewicz and among them Greg Ward, Joshua Abrams will offer a reinterpretation of some of your inspirational unpublished music, recorded but never released. The Heliocentrics will take us to another galaxy through a sinergic mix of different music genres coming together with your Afro-futuristic lesson. Cecil Taylor, there is no need to introduce him, will honor us with his presence in Sant’Anna Arresi for the second time and will meet you, Sun Ra, half way to the sky. We will march to your planet Saturn with the exploding power of the Hypnotic Brass Ensemble joined by their father, Kelan Philip Cohran, one of your trusted trumpet player. From Turkey, Konstruk, an affirmed reality of free jazz, will offer a show focused on your favourite discipline: the orchestral improvisation, featuring a special guest, yours Marshall Allen. From Turkey to France, with saxophonist Thomas Pourquery’ Supersonic exploring the prolific production of Ra’s hymns and songs. From Germany an ensembled Heliocentric Counterblast will strike a tribute to Sun Ra, the latest musical effort. On the last day of ceremony, your great Sun Ra Arkestra will land to Sant’Anna Arresi under the direction of Marshall Allen to arouse the people of the Earth before fading into the endless Abyss of the Universe. 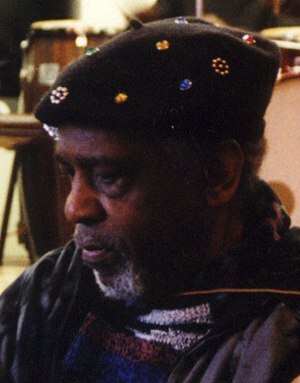 A 3-day conference will discuss Sun Ra’s music legacy and perspectives. Two art exhibition will show Sun Ra graphic genius and his journey to the sardinian planet of Sound Stones, back in 1981 and 1989. 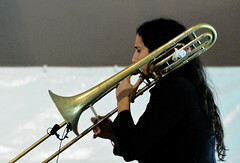 As typecasting goes, brass instruments have been assigned some of the juicier roles in music. But a new generation of players and composers is redefining the repertory and experimenting with different modes of expression. TILT Brass, an ensemble founded by the trombonist and composer Chris McIntyre, has been a force in this movement, dedicating itself to commissioning and performing new music for brass. On Thursday it celebrated its 10th anniversary at Roulette in Boerum Hill, Brooklyn, with a concert that included five world premieres. It was in college that Chuck was first exposed to Down Beat Magazine and the blues. Local folklorist Harry Oster would bring in blues acts like Big Joe Willams to perfom and the University music department had a record collection with two hundred or so jazz records. When in Chicago Nessa would often go out to see blues acts with Bob Koester on Chicago’s south and west sides. It was Chuck who, after moving to Chicago in 1966 to manage the Jazz Record Mart, was responsible for bringing the AACM into recorded history. As a member of a group of jazz fans and JRM regulars including Terry Martin, John Litweiler and Jerry Figi, Chuck Nessa convinced Jazz Record Mart and Delmark Records owner Koester to record members of the AACM, then still a fledgling free jazz organization.